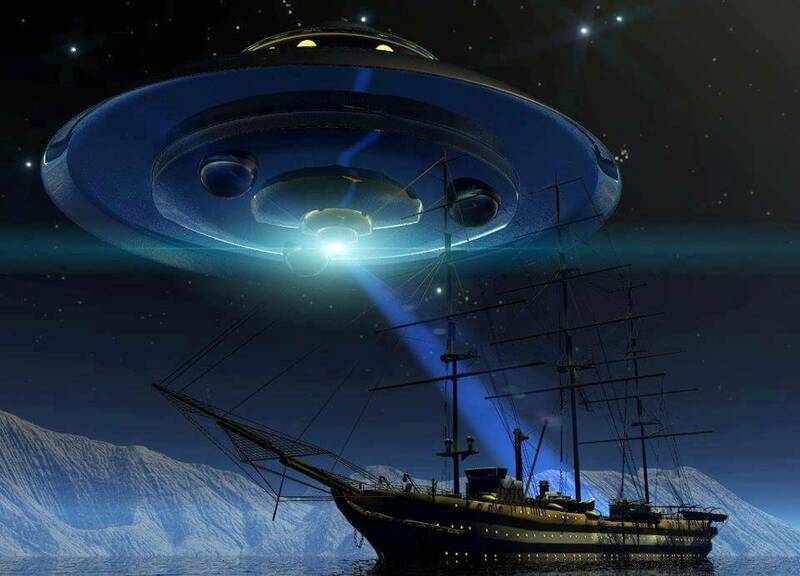 The most common claims made in these programs, articles, and books are: 1) Columbus and his men saw a bright, disc shaped object rise out of the ocean and fly into the sky, 2) They also, on a different occasion, saw what they interpreted as stars spinning in the sky above them… now assumed to be a historic UFO sighting,and 3) They also saw what was described as a candle-light floating up and down out at sea where there could not be a fire. Surprisingly, these events are indeed based on occurences in Columbus’ log, but have been interpreted in highly questionable ways as I will demonstrate… but first, a brief moment to talk about the “log” itself. The original log of Christopher Columbus’ voyages has not survived for anyone to read. Similarly, his personal diary of the voyage has also been lost. What most everyone actually means when they say “Columbus’ log” is a copy of the log and diary made by a man named Bartolome de las Casas [1484 CE – 1566 CE]. So we don’t have a direct statement of Columbus’ experiences or thoughts… we have someone else’s statement of what they felt was important enough to record, and that is from someone who didn’t sail with Columbus (Bartolome was eight years old when Columbus made his first trip!). However, Bartolome’s father and uncle traveled with Columbus on his second voyage, and Bartolome edited Columbus’ travel journals, so he was in a position to be authoritative about Columbus’ story of the voyages. Sometime in the 1530’s, Bartolome wrote the Diario of Christopher Columbus’s First Voyage to America. This Diario of the first trip includes three notes that have become the basis for the reports now attributed to Columbus, two relating to strange lights, and one relating to a compass problem. As a sidenote to these odd topics, I’d like to point out one interesting detail that becomes clear upon reading the Diario: Columbus spent the trip lying to his crew about how far they had traveled, typically telling them they had covered less than half the distance each day! This was probably to keep them from panicking as they sailed far beyond distances they had ever covered before.